The staff was very helpful and friendly. Our bikes were delivered and they stored it until our arrival. They had no problem leaving it in the washing room. The supper was awesome and highly recommended. The reception was excellent. The host was extremely helpful. The communal dinner was also very good. Location was good as well. The staff was really great, I made a lot friends and also they had delicious food for dinner. 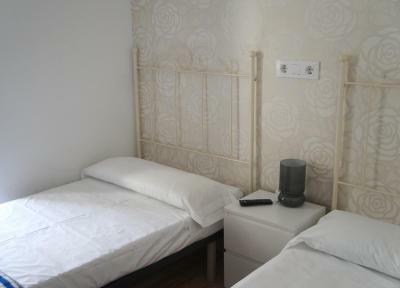 The hostel has a very good central location in the heart of the city. You go out and you are already waking in the historic center. 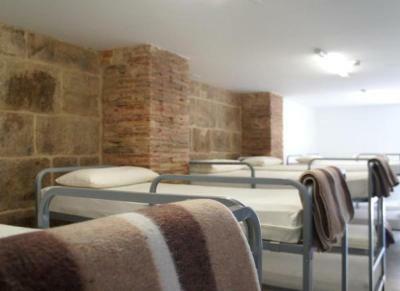 The rooms are tidy and clean, as well as pilgrims friendly so it was quiet. Bathrooms and common space were tidy and clean. Staff was friendly and helpful. 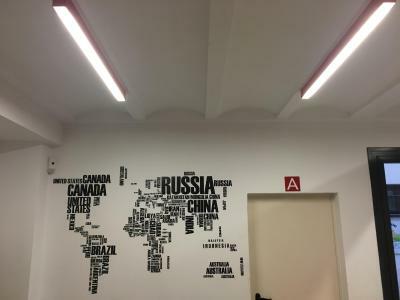 The staff was friendly and could speak multiple languages. The pilgrim's dinner (for those walking the Camino Frances) was pretty good (11 euros). Breakfast consisted of good coffee, bread, and prepackaged pastries. There is a little bar for good coffee, beer and wine. 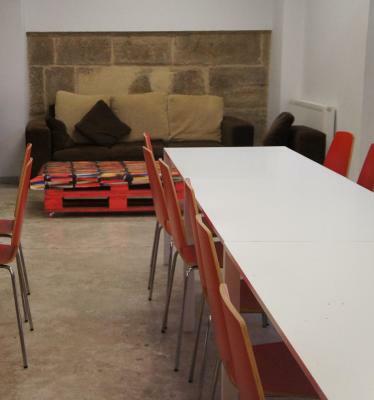 A TV in the common room and plenty of places to sit. There is a storage area for bikes. There is a little outdoor seating area in the back. Plenty of storage lockers. a very welcoming, friendly and lovely staff.. gracias! The staff took care of guests' needs quickly and satisfactory. We opted for a private room and were very comfortable. Love the idea of the pardors! Had seen your hotel in the movie " the way"and told my mom if I make it as far as Leon will upgrade and spoil myself! Did so enjoy the bubble bath! Would love to have a guide to all the Paradores along the camino as I plan to repeat the trip for my 65 th birthday. Albergue Santiago Apostol is located in Logroño's old town, 800 feet from La Redonda Cathedral. 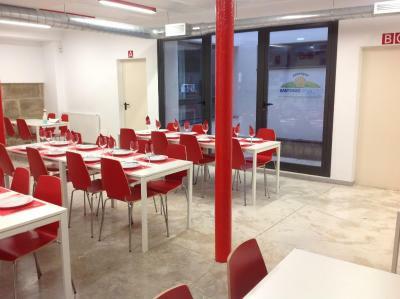 The hostel offers Wi-Fi and shared dining and seating areas. 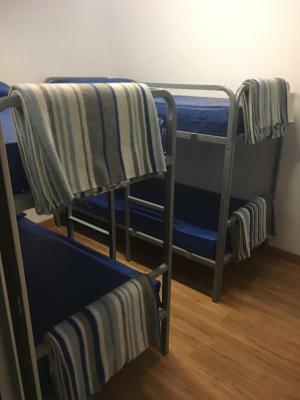 This hostel features dormitories with shared bathroom and private rooms with their own bathroom. Heating is available in all bedrooms. Bars, shops and restaurants are 5 minutes’ walk from the property. Santo Domingo the la Calzada is 30 mi from the hostel. San Millán de la Cogolla and Monasteries Suso and Yuso, declared a World Heritage Site by UNESCO, are a 40-minute drive away. Agoncillo Airport is 20 minutes’ away by car. 뀐 Located in the real heart of Logroño, this property has an excellent location score of 8.8! 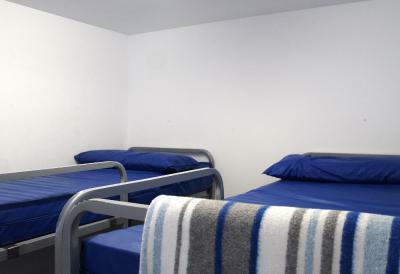 This heated room features 2 bunk beds, a wardrobe, heating and a flat-screen TV. It has a private bathroom with a shower. 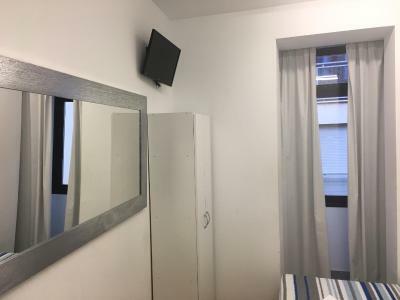 This heated twin room features a flat-screen TV and wardrobe. 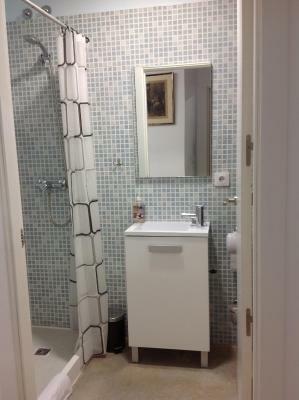 It has a private bathroom, towels and linen are provided for free. 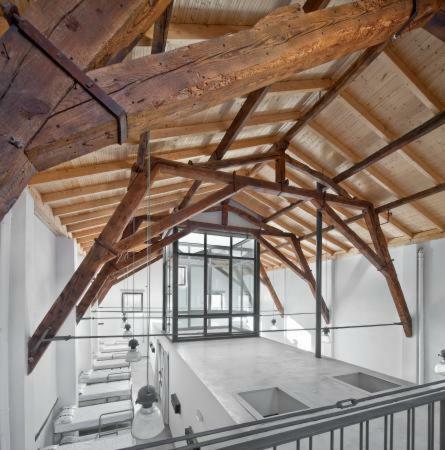 This heated dormitory features heating and a shared bathroom. 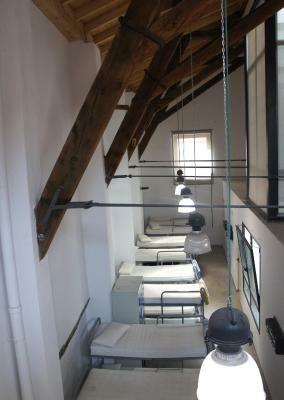 The hostel provides sheets, but guests are advised to bring their own linen. Towels are available for rental. Please note that guests staying in this room must check out by 09:00. 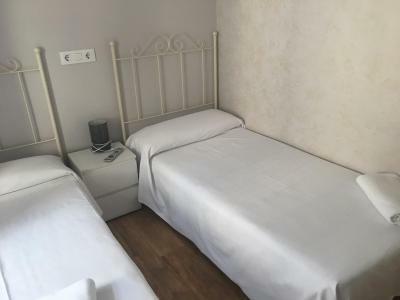 Maximum people per room is 3. This room comes with three single beds and offers a flat-screen TV, wardrobe, and private bathroom. 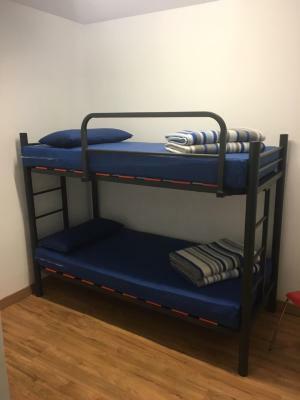 This heated room features 2 bunk beds, a wardrobe, heating and a flat-screen TV. It has a private bathroom with a shower. 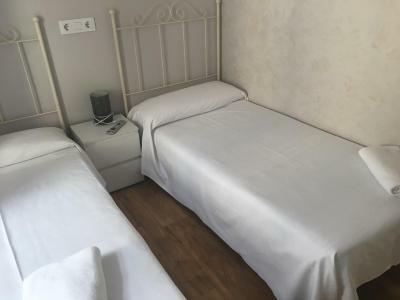 Bed linen and towels are not provided. 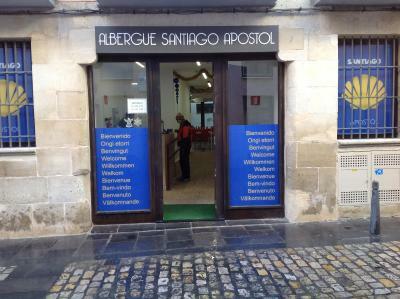 Albergue Santiago Apostol accepts these cards and reserves the right to temporarily hold an amount prior to arrival. 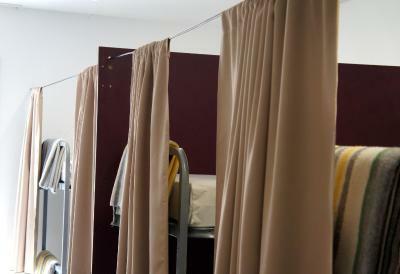 Please note that you can bring your own bed linen and towels or rent them on site. Wonderful cafe inside and friendly generous staff. Some lockers were destroyed and not all of them were working. The toasts were good for the price I paid. This was a lovely hostel that does not rate that high but I loved. It was clean, warm and friendly. The number of showers and toilets for over twenty people seemed inadequate, but it seemed to work out all okay. The bathroom didn't have too much lighting. 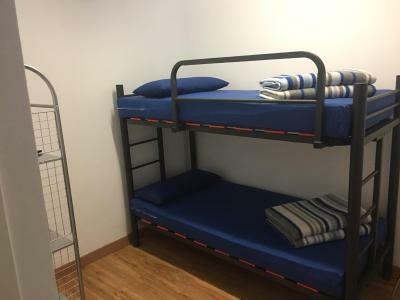 Very institutional feeling with huge room filled with bunk beds. The showers were tiny, barely usable. There were many young people who were not pilgrims staying there (maybe 50% non-pilgrims) which led to conflicts with sleep schedules. Not really a place for a long stay, or if are not into the Camino-mood. A perfect stop for those walking/riding along the Camino de Santiago. Meals are served at the right time: early in the morning, early in the evening. Very nice staff, nice atmosphere. 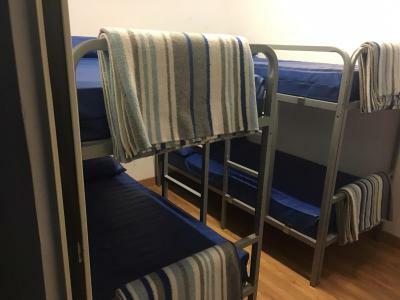 The dormitory was very crowded with bunk beds too close together. Very loud people, not very soundproof but mostly inconsiderate fellow inhabitants. Big but lovely, very well organized. Comfy and clean. No faults. Extremely good value for money. Very reasonable price, great location, good facilities.